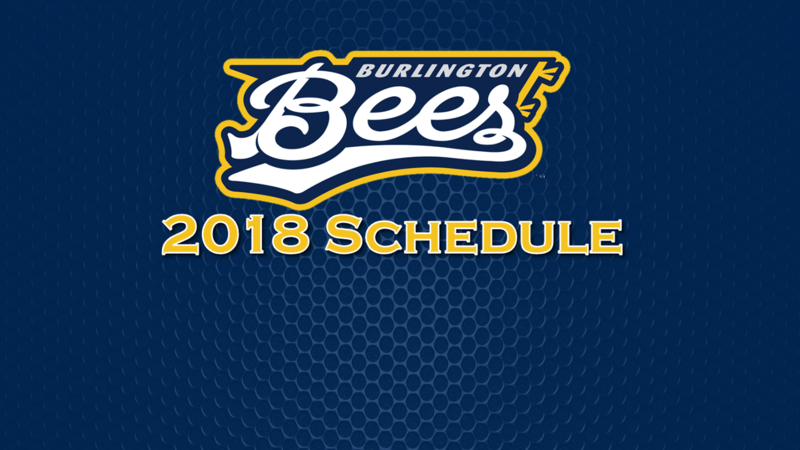 (Burlington, IA) - The Burlington Bees, Class-A affiliate of the Los Angeles Angels, have released their 2018 schedule with the Bees opening the 2018 season at home on April 5th. The Bees will play nine of their first 11 games at home, starting with a quick two-game home stand against the Peoria Chiefs, the St. Louis Cardinals Class-A affiliate, starting on April 5th. The Bees home schedule will feature 70 games, with 16 home stands and 11 Saturday games in 2018. The first round of inter-division play begins on May 1st when the Bees will welcome the Dayton Dragons and the Bowling Green Hot Rods to Community Field for the first time since the 2016 season. In the second half, the Bees will host the Great Lakes Loons and the Lansing Lugnuts, who have not visited Community Field since 2016. For the ninth season in a row, the Bees will finish the season at home, hosting the Clinton LumberKings over Labor Day weekend. The Bees will finish the season playing 10 out of their last 13 games at home. The Bees wrap up the 2017 season this weekend with three games against the Clinton LumberKings starting on Saturday at 6:30 p.m. It's a US Bank Friends and Family Saturday as all fans will be able to run the bases. Saturday is also the final fireworks show of the season. For tickets, visit gobees.com or stop by the Bees' office. For more information, call the Bees at (319)-754-5705.